Hospitality technology is constantly growing and evolving as evidenced in this edition of Modern Restaurant Management (MRM) magazine’s #RestaurantTech column. To submit items, contact Barbara Castiglia at bcastiglia@modernrestaurantmanagement.com. SALIDO added several restaurants to its growing portfolio across fast casual and fine dining establishments. The companies have completed installation and will use SALIDO’s innovative cloud-based, one login technology to manage point of sale, advance reports, inventory, HR/labor management and kitchen display systems, among other interconnected functions. 33 Greenwich, the recently opened Southern-inspired kitchen. The companies have completed installation and will use SALIDO’s innovative cloud-based, one login technology to manage point of sale, advance reports, inventory, HR/labor management and kitchen display systems, among other interconnected functions. 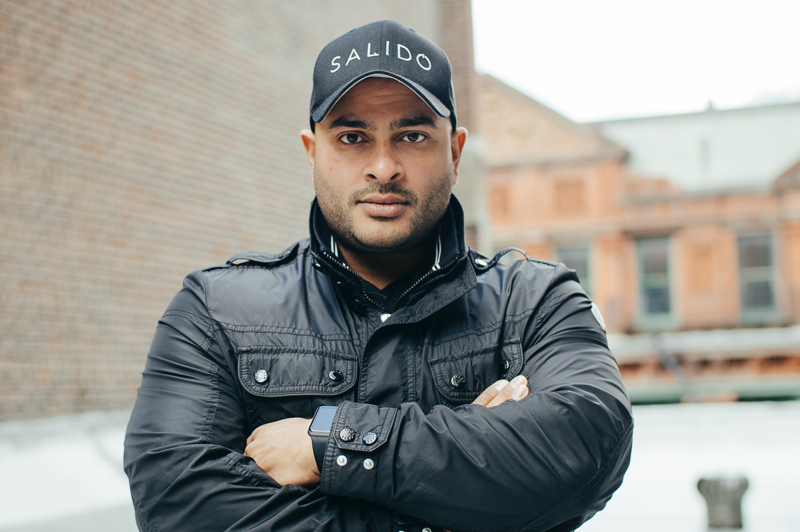 SALIDO is focused on fixing the inside of the restaurant, building a platform that will assist operators in eliminating costs and using real-time data to make vital business decisions to increase profitability. SALIDO’s operating system offers a one login, full-stack solution for point of sale, advance reports, CRM, labor management, inventory management, and kitchen display systems, providing a distinct operational advantage over traditional disjointed systems. In addition to the recent installations, over 70 restaurants in New York, Chicago, San Francisco, Los Angeles and Boston use SALIDO, such as: by CHLOE., ‘wichcraft, Shuko, Batard, Loring Place, Num Pang Kitchen, Babu Ji, 3 Arts Club Café and Pasquale Jones, among other quick service, fast casual, and fine dining restaurants. NCR Corporation said Spoleto USA, a fast-casual Italian restaurant that combines the speed of quick service with the sophistication of gourmet-quality food, has turned to NCR for its cloud solution that allows customers to place mobile orders, pay directly from their smartphone and jump the queue in store all from a mobile app. Designed to create a simple ordering and rewards experience, the app’s features include a mobile ordering system, mobile pay, and a digital loyalty card to keep track of rewards. With locations on and near college campuses in Florida and California, Spoleto needed a unique way for students and young professionals to easily interact with their brand using a digital platform. “The partnership with NCR continues to drive the digital platforms of our brand. They are finding innovative and integrated solutions that will allow us to scale nationwide with the most advanced digital strategies, including our new Spoleto app,” said John Velasquez, President & CEO of Spoleto USA. Spoleto was already using NCR Aloha platform-of-sale software and chose to extend its omni-channel consumer engagement capabilities using the NCR Engage Mobile platform, easily adding the ability for Spoleto customers to order their favorite dishes ahead of time, bypass the long lunch lines and earn great rewards while they do it. Spoleto chose this option because it delivered one complete solution that captures and manages transactional data, order information and loyalty rewards across both physical and digital channels. In a matter of weeks leveraging NCR’s reliable cloud-based infrastructure, Spoleto was up and running with a fully-branded, mobile app experience that includes order ahead, loyalty, stored value capabilities. Marking the occasion with a launch party in Orlando, they quickly rolled the app out to all locations. “We are excited by the possibilities we now have to significantly shorten lines at our restaurants, give our guests convenience and drive additional revenue for our brand,” said Luis Pestonit, IT manager for Spoleto. Spoleto combines the speed of fresh-casual service with the sophistication of an Italian restaurant and gourmet-quality food. It is currently in the process of positioning the brand for franchising and anticipates granting franchise territories later in 2017. Quick service restaurant Jack in the Box and its Qdoba Mexican Grill subsidiary selected Hughes Network Systems, LLC to upgrade their nationwide network to deliver faster performance, enable new cloud-based applications and provide a better customer experience. Hughes will build, manage and support Jack in the Box’s new Next-Generation Network (NGN) with HughesON™, its comprehensive suite of cloud-friendly managed network solutions designed for highly distributed enterprises like restaurants, retailers and financial institutions. Hughes will provide fully managed, high-speed primary and backup networks securely connecting approximately 3,000 restaurants across North America. Hughes is also providing managed network support for guest and employee Wi-Fi. Hughes was selected for the Next-Generation Network as a result of its unique performance optimization technologies – Hughes ActiveTechnologies. The ActiveTechnologies™ enable unmatched application performance resulting from additional bandwidth and unique traffic prioritization using affordable broadband services like cable and DSL. The HughesON solution with ActiveTechnologies will provide tangible benefits to both owner/operators and restaurant patrons. Owner/Operators can now prioritize business critical applications, like POS transactions, over less critical applications while sharing the same available broadband bandwidth. Customers and employees can enjoy faster Internet speeds, faster transaction times, and faster Web page loading times. Customers can easily access the Internet and future cloud-based applications over their mobile devices using the Hughes-supplied in-store Wi-Fi network. Unlike standard Wi-Fi solutions, Hughes Wi-Fi can support the busiest restaurants during peak busy hours without performance degradation of mission-critical traffic. Jack in the Box, a Hughes customer for more than 15 years, chose to partner with Hughes for the Next-Generation Network after a comprehensive RFP process that evaluated many providers. Simplicity and security were other deciding factors in Jack in the Box selecting Hughes. Using the award-winning Hughes HR4700 Branch Gateway at each restaurant, Jack in the Box enjoys world-class security, routing and optimization in one easy-to-manage device that offers cost savings over multiple box solutions. Jack in the Box’s business and customer data is strongly protected with features such as a next-generation firewall, stateful packet inspection, intrusion protection, and antivirus and anti-malware, all in one device. To ensure network uptime and maximum performance, Jack in the Box is deploying the Hughes High-Availability Network solution, which provides dual-broadband connections into each restaurant. Each location will have either a high-speed 4G or satellite link backing up the primary landline connection in the event of an outage. All network connectivity, security and application services are fully managed and supported 24/7 by Hughes skilled technical professionals. With HughesON, Jack in the Box’s IT staff can focus on pressing business concerns over day-to-day network issues. Hughes has installed the HughesON solution in approximately 3,000 restaurants to date. 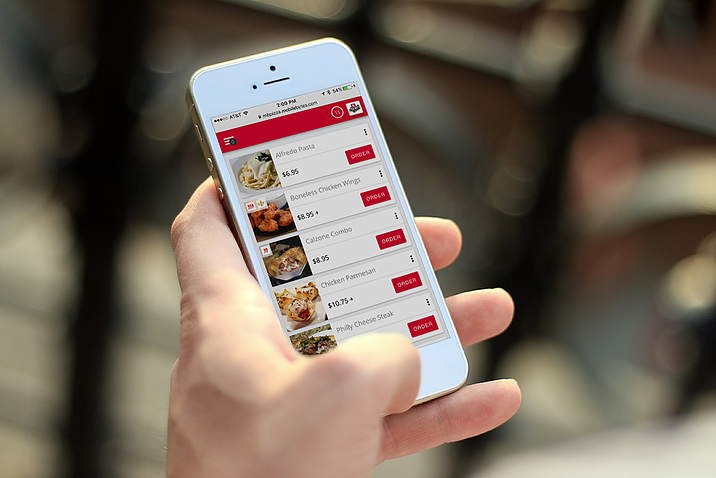 MobileBytes released its next generation software update for online ordering. The latest update, top picture, includes the ability to easily create specials and promotions for online orders. In addition, it enables restaurateurs to manage customer expectations by automatically disabling the sale of menu items that have key ingredients out of stock. With MobileBytes, online ordering is fully integrated into the POS system. For most restaurants, setting up the online ordering tool takes only minutes and gives customers the ability to order from anywhere with a mobile-friendly interface styled to fit the restaurant’s brand. Online ordering is part of a suite of features offered by MobileBytes and is included at no additional cost. Online Menu Schedule Overrides — Restaurants can override online menu hours for specific dates. If a restaurant is staying open late or opening early for a special holiday or promotion, the schedule override allows owners to easily change the hours online ordering is available for the day or promotion period. Price Overrides — MobileBytes online ordering enables restaurant owners to create special prices and rules for limited amounts of time, making it easy for restaurants to offer specials and discounts for online orders. Item Stock — Items that are out of stock are automatically disabled and cannot be clicked or added to an online order. Tipping — Customers can add a tip to their online delivery or carryout order before submitting. Auto apply adjustments — Improved method for adding automatic service charges. Upgraded Confirmation Emails — Confirmation emails have been upgraded to display either “pay in person” or “paid online” depending on how each customer pays for their order. ParTech, Inc. (PAR) announced that TempAlert, a specialist in temperature monitoring, has become an IoT integration partner with PAR’s SureCheck® Advantage Food Safety Solution. TempAlert will seamlessly integrate with SureCheck to enable 24×7 remote monitoring. Combined, these solutions maximize operational efficiency, compliance, and quality control. SureCheck has layered in remote sensor technology, which combined with Intelligent Checklists, Mobility, and Cloud, ensures critical temperatures are consistently captured and monitored in kitchens, serving areas, holding areas, and while in transit, from ‘farm to fork.’ The SureCheck solution is further strengthened by TempAlert IoT to go further in protecting brands, consumers, and the bottom-line. Ziosk and Main Event Entertainment partnered to enhance the guest experience and operations at all 38 Main Event Entertainment centers across the U.S. Guests at Main Event will be able to use Ziosk tablets to place orders from the full menu of food and beverages, access games and premium program content, and enjoy secure and convenient digital payment via credit card or mobile wallet. The partnership represents Ziosk’s first engagement in the entertainment venue category and first outside of the traditional casual dining space. Leveraging the efficiency of digital ordering and secure pay-at-the-table technology, Main Event Entertainment will increase throughput of bowling lanes and reduce waiting times, improve labor efficiency, and gain immediate insight into the guest experience through satisfaction surveys and performance reporting. LeaseQ, an online marketplace and finance platform connecting business owners, equipment sellers, and lenders to make selling and financing equipment fast and easy, announced plans to double the size of the company in 2017 with 19 new hires, service expansion into three new vertical markets, and same day financing with instant quotes. LeaseQ began hiring for its Funding and Sales teams earlier this year, and plans to add a total of 19 new employees in 2017. The additional staff will support development of same-day financing, and help service new vertical markets in machine tools, high tech and cannabis. LeaseQ is currently hiring sales leadership for all three groups. LeaseQ currently supports borrowers, lenders and vendors in 28 vertical markets on its automated equipment financing platform, with recent expansions into commercial trucking, brewing and foodservice packaging. In November 2016, LeaseQ acquired Noesis, the leader in commercial building equipment financing, to better serve building equipment manufacturers, distributors, contractors and their customers. LeaseQ continues to partner with leading lenders and equipment sellers, and joins relevant trade organizations in every vertical it serves. AfterWords is partnering with Custom Business Solutions to officially debut its new Intelligent Customer Engagement software. AfterWords helps service driven companies gain a complete picture of their customers’ perceptions through multi-dimensional surveys that track transactions, loyalty, and the guest experience. The new software leverages data to improve the customer experience, increase sales, and profitability. Using relevant and specific questions about the customer experience, AfterWords produces perception and loyalty indexes to deliver actionable data to operators. Built into the system are a variety of customer recovery tools to enable managers to address issues in real-time. The AfterWords patent-pending process provides more relevant data, with less survey abandonment, and provides actionable insights. Dinova, Inc. announced its first quarter marketplace results. Business dining spend through Dinova’s marketplace has increased an astounding 45.34 percent in the first quarter of 2017, with a 39.9 percent growth in the number of business dining transactions and an 11.41 percent increase in the average business dining transaction size, over Q1 2016. Dinova estimates that business dining industry-wide sales is up slightly at 1.1 percent in Q1 2017 vs. Q1 2016. This is in sharp contrast to the consumer dining industry which has been in significant decline over the past 12-18 months. According to Black Box Intelligence – a TDn2K company, consumer traffic is down once again in Q1 2017 with a 3.6 percent decline. 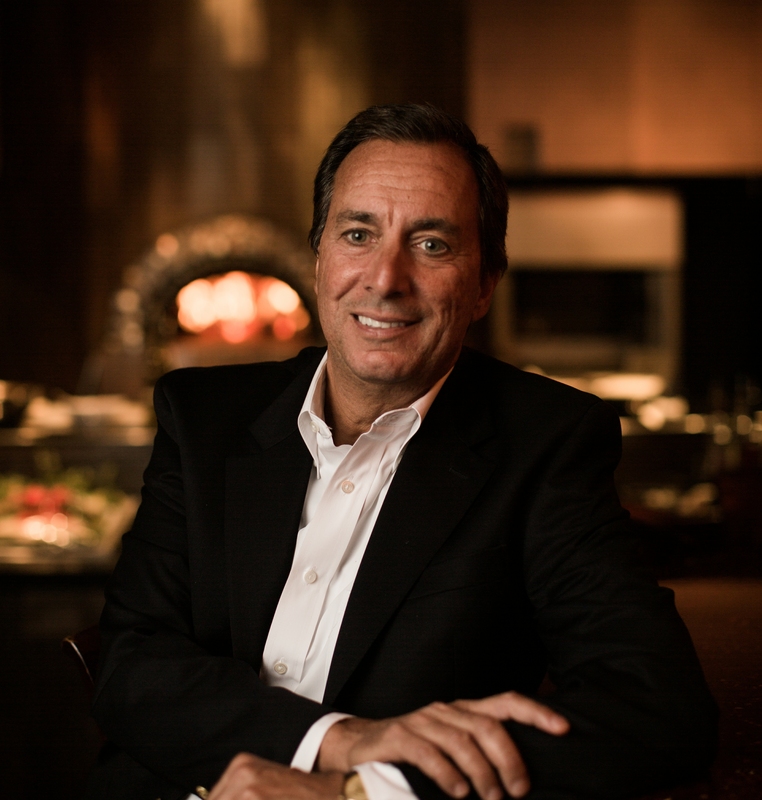 Conversely, participating Dinova restaurants enjoyed increased traffic and overall growth from Dinova’s business dining marketplace as well as increased spending by client companies. In Q1 2017, Dinova saw participating companies shift 29.54 percent more of their existing business dining spend into Dinova preferred restaurants vs. Q1 2016. The two Cactus Jack’s locations are in close proximity to large numbers of business travelers. The Manchester location is within 10 minutes of the Boston– Manchester Regional Airport, which is the gateway to New Hampshire and the greater Boston area, and the Laconia location is in the heart of the New Hampshire Lakes Region. Jaguar Hospitality Group began in Miami with the opening of Jaguar Ceviche Spoon Bar and Latam Grill, featuring an enticing and unique selection of ceviches, while showcasing the many flavors enjoyed throughout Latin America. Enhanced EMV and Mobile Payment Solutions – Squirrel continues to maintain its leading position in the payments space by providing the largest array of EMV and mobile payment solutions in the industry while maintaining the highest levels of security. One Touch Automation – Squirrel has enhanced its suite of remote management tools to provide additional options for managing unattended end of day and startup processes, 24-hour operations, as well as emergency failover and business continuity controls. More Front of House Controls – Improved front of house operations and reporting allows users to solely focus on their areas of responsibility, whether a specific revenue center or group of employees. Enhanced Reporting – Several built-in reports for transfers, payroll, voids, and more have been enriched, providing additional data for making smarter business decisions. Expanded Remote System Monitoring – Squirrel Professional 10 is proactively supported by Squirrel’s award-winning 24/7 Solution Center help desk, which leverages Squirrel SmartWatch remote monitoring to ensure maximum uptime. Squirrel Smartwatch can automatically detect and self-heal certain technical issues and automatically alert Squirrel customer service representatives along with a restaurant’s IT team. Kitchen Display System and Table Management Integration Enhancements – Squirrel is a Strategic Partner of QSR Automations. Squirrel Professional 10 includes additional functionality to support integration, build, and deployment with QSR’s ConnectSmart Kitchen and DineTime solutions. Forager™, a company focused on making locally sourced food widely available to all, secured a new round of funding from Coastal Enterprises, Inc. (CEI) in Maine. Recently recognized by Fast Company magazine for its innovative leadership in affecting social good, Forager is fueled by the passion of its CEO and founder, David D. Stone, a serial technology entrepreneur who wants to give back to the world by accelerating the sharing of local foods. Though the $14 billion local food market is burgeoning, the cost and complexity of the local food sourcing process are barriers to even faster growth. Forager’s new online and mobile procurement-to-payment platform radically simplifies the sourcing process, saving time and significant costs, and enabling grocers, food co-ops, farmers and producers to offer more local products to consumers. Forager launched its platform after completing a successful regional pilot involving 100 farmers and 10 grocers, food co-ops and wholesalers from Maine. The company is rolling it out throughout New England and New York State, and additional grocers and farmers are now participating. GoPapaya launched a new feature hat provides last-minute offers of up to 40 percent off takeout orders at nearby restaurants. While GoPapaya had previously allowed restaurants to use last-minute offers to attract diners to fill their empty tables, GoPapaya is now also allowing restaurants to drive additional takeout business during slower times. The startup app launched in 2016 to help restaurants, which have very high fixed costs, attract additional business during slower times. The app has significantly grown over the past year and now has over 85 partner restaurants in the Greater Boston area. GoPapaya helps diners decide where to eat by presenting personalized real-time offers from nearby restaurants during off-peak times or when restaurants happen to have extra availability. For years, hotels and airlines have been offering last-minute savings when they have availability, and now restaurants can do the same. Enjoy your meal and receive the percentage off your entire bill (there is no fine print)! Cin7 launched the Cin7 App Store, allowing customers to quickly and easily set up and scale-up Cin7 to suit their business needs. The Cin7 App Store is a centralized, easy-to-navigate catalogue of the Cin7 core production, warehouse, POS and B2B capabilities plus 120-plus integrations to the popular accounting solutions, ecommerce platforms and marketplaces, retailers, logistics and shipping providers, and sales, marketing and payments applications that businesses use to efficiently sell their products..
Dor, the modern foot traffic counting and analytics solution vendor, announced a $3.8 million seed investment led by Zetta Venture Partners and Vertex Ventures. The San Francisco startup founded by ex-Apple engineers offers the first easy to deploy, affordable, and secure foot traffic sensor and analytics platform for retail organizations of all sizes. Dor’s turnkey solution uses proprietary thermal sensing technology combined with machine learning algorithms to provide reliable insights about customer traffic, enabling retailers to optimize staffing, improve marketing and increase conversion – turning more visitors into customers. Dor even incorporates real-time weather data to help retailers better understand what affects traffic to their stores. Dor’s solution is completely secure and easy to install – in contrast to expensive and unreliable camera, break-beam and Wi-Fi systems. Dor includes a beautifully designed, battery-powered sensor that is easy to stick on any door and blends in with modern decor. The sensor doesn’t require Wi-Fi access, instead operating on its own, closed cellular network. The sensor also requires no professional installation and sends real-time, actionable analytics directly to a cloud-based dashboard that can be accessed anywhere, on any device. Dor integrates with POS systems like Square and Lightspeed to automatically calculate and track conversion rates in order to provide insights into revenue’s correlation with store traffic.